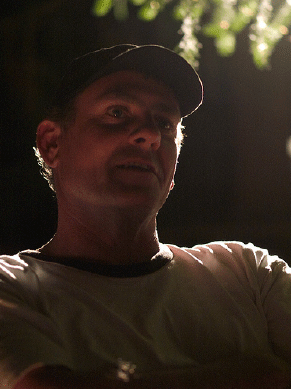 Stef Harris formed Dark Horse Films in 2005 to make the award winning feature film 'The Waimate Conspiracy.' The film was a critical and commercial success winning best film awards in New Zealand, Australia and Canada and screening in film festivals worldwide. Dark Horse Films went on to produce Stef's second feature film 'No Petrol, No Diesel' starring some of New Zealand's finest acting talent including, Jim Moriarty, David McPhail and Mark Hadlow. Most recently they produced 'Blue Moon'​, which was featured in the New Zealand International Film Festival. Dark Horse Films has several feature film projects in development in New Zealand and Hollywood. Writer/Director Stef Harris first novel was 'The Waikikamukau Conspiracy' a humorous story about a disputed land claim in a small town. The book was published to critical acclaim and gained many positive literary reviews. Readers of Stef's first book agreed the story would make a good film and as a result Stef created the film version "The Waimate Conspiracy". No one was more surprised than the first time Director himself, when the film went on to win four Best film Awards. Stef went on to write and direct a second feature film from his novel 'The Hydrosnipe'. He has several feature films and novels in development. Dark Horse Films is comprised of a small core team that partners with Stef Harris, as well as many collaborators on each film.